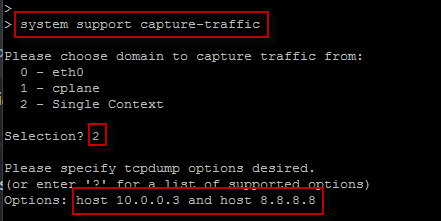 If we need for some reason to do a packet capture on Cisco Sourcefire/Firepower we can do that from the CLI. Copyright 2004-2017, Cisco and/or its affiliates. All rights reserved. 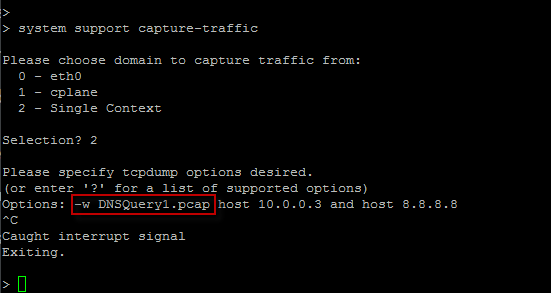 And by the way, we interrupt the packet capture with CTRL-C. 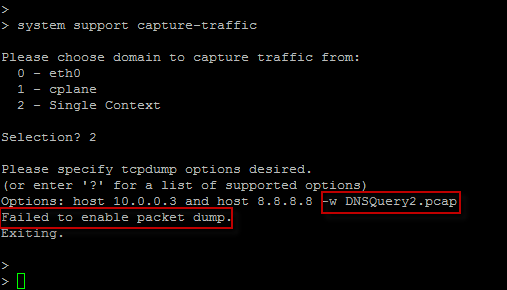 This entry was posted in Cisco, FirePOWER, IPS, Security, Sourcefire and tagged cisco, firepower, sourcefire. Bookmark the permalink.